I am all about eating skewered meats during the summer, and these garlic butter beef kabobs are my absolute favorite way to do grilled steak. Easy dinners….what mother doesn’t love them? I’m all for cooking but I also like when I don’t have to put in a ton of effort. Those are the nights that I whip up these steak kabobs with garlic butter. I love making all kinds of kabobs but these really hit the spot when it comes to flavor! HOW DO YOU MAKE STEAK KABOBS? 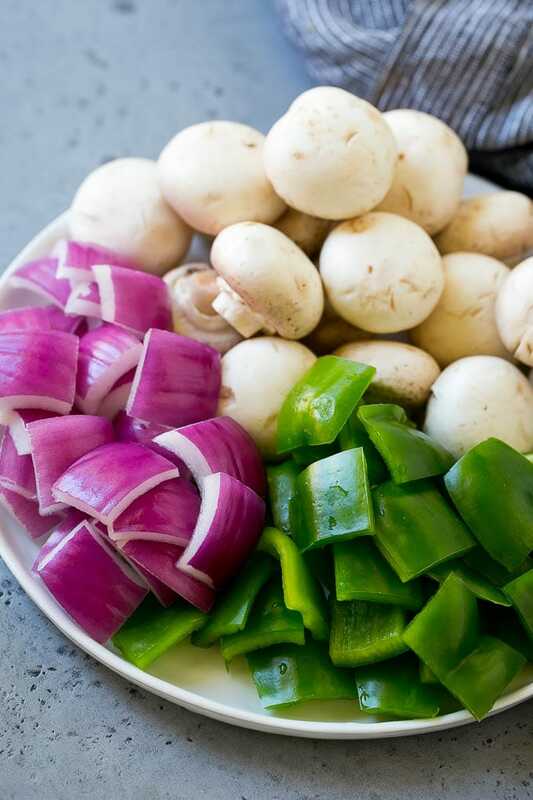 Making kabobs is one of the easiest tasks you’ll ever tackle. Once you have your meat cut to the right size, thread all of your ingredients onto the skewers. 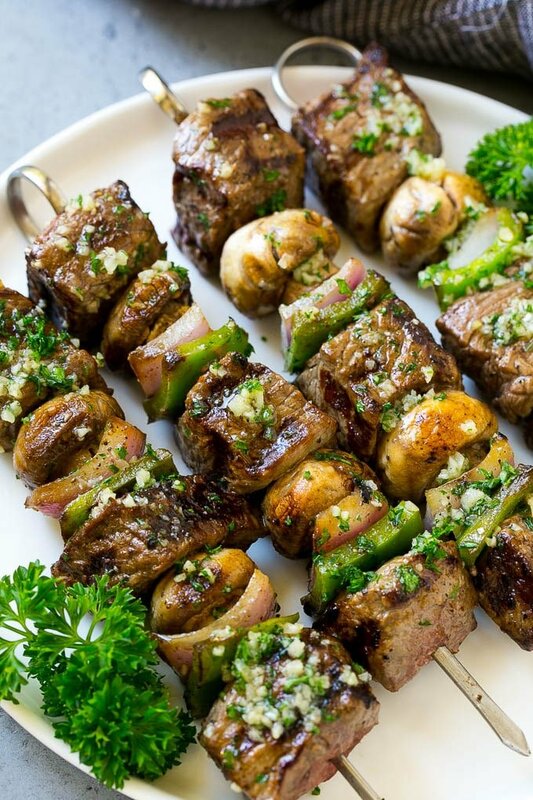 Grill the beef kabobs to perfection on each side then brush on that glorious, aromatic garlic butter mixture. You can then serve one of the easiest dinners you’ve ever made.